Duo Security has a new solution for workers remotely accessing the company network which it argues is much more secure than the traditional VPN that might be employed – and has other advantages besides. Duo Beyond is the first large-scale implementation of Google's BeyondCorp framework, and it’s a cost-effective solution to allow staff members to remotely access corporate apps and data. What in the world is going on with Microsoft HoloLens? The service offers a greater level of security than a company’s VPN (or NAC), but perhaps moreover also simplifies security management aspects, and can be deployed in an hour. It sounds pretty streamlined all round. 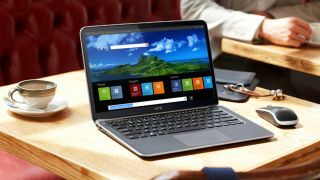 According to research carried out by Duo, over a third of access requests to a business network come from outside the company firewall, and obviously the tighter the security for remote access, the better (when it comes to avoiding the dreaded data breach). Whereas generally speaking, a VPN grants access to the entire network, Duo notes that its Beyond product allows for easy management of which apps are accessed, depending on whether a corporate or personal device is on the other end of the connection. As BYOD and remote working become more commonplace, there’s certainly a need for easy-to-use systems which can maintain security. Steve Myers, Head of Security at Kayak, a firm which has adopted the product, commented: "Duo Beyond is great for organisations with limited IT resources as it has a multiplier effect. It allows one person to do the work of 10."